I was looking to buy the Pancakebot 1.0 to use at local fares, markets, etc. Someone told me they take around 5 minutes to print a design. Is there any was I can print the design and have my final product out in about a minute? Miguel Valenzuela Drawing time has to do with how many colors you have and the amount of time between color layers. The software allows you to control the delay between these layers but you may lose contrast in the design unless you use a high heat. 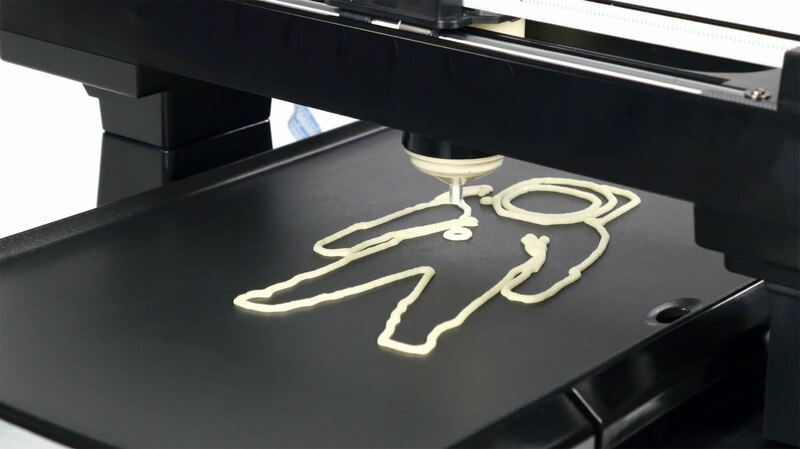 It is a pancake and takes time to cook and so the printing takes that cooking time into consideration. You can also increase the speed of the bot using the push buttons on the console. Please note that the PancakeBot is for Household use only so you will have to check with your local food and health organization to determine if you can use the device for commercial endeavors.